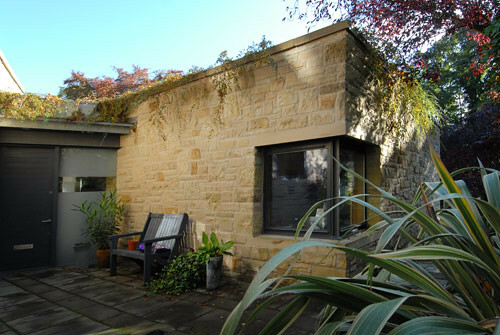 We were approached by the clients who live in a large Edwardian house on a steeply sloping site in Colinton, to ask for our help in finding a site for a new house. 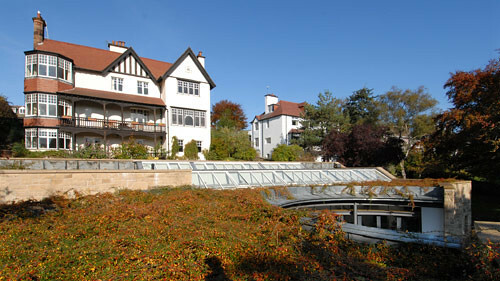 We immediately observed that the site was potentially at the bottom of their garden and although the local plan in Colinton specifically rules out development within the back gardens of large villas we were able to persuade Planning Officers and Councillors that the design of this particular house would be virtually unseen from both its neighbours and the original house itself. 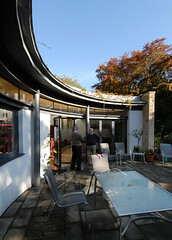 The design uses the steep slope to make a semi-underground residence, the roof of which is planted with cotoneaster so that from above it appears to be an extension of the original garden. 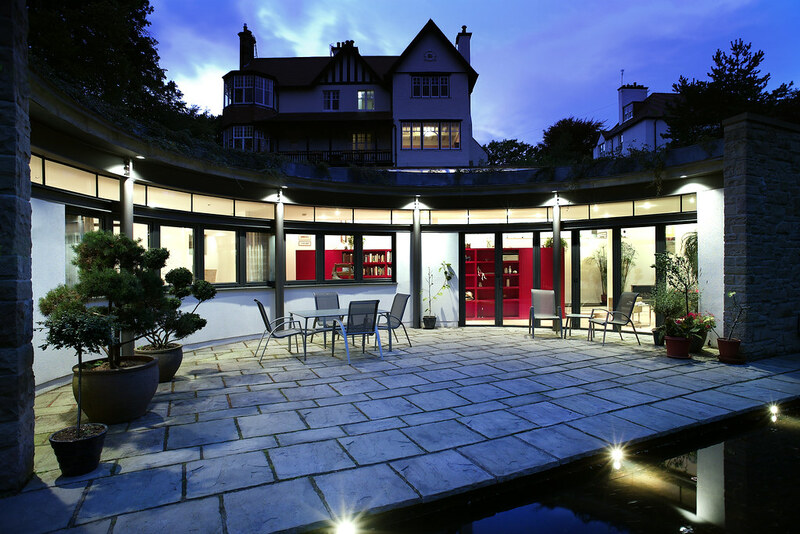 The single aspect nature of the house concentrates around a semi-circular garden terrace onto which all the main spaces; living, kitchen/dining and master bedroom look with additional light being provided by south facing roof lights. 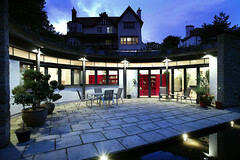 The design is a split level with the kitchen/dining, study and two guest bedrooms at a slightly higher level. Externally the whole building is clad in stone to match surrounding garden walls. 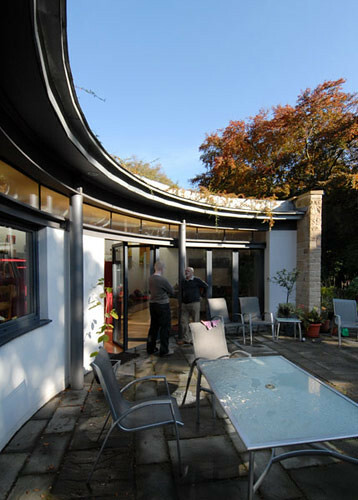 The project was completed in May 2004 and is a particularly interesting example of how design thinking can overcome the perceived rigidity of planning structures.